UNESCO's World Heritage committee has voted to approve a Palestinian bid to place the Church of the Nativity in Bethlehem on its list of sites of World Heritage in Danger. The Palestinians had pressed to have the church and pilgrimage route inscribed as an emergency candidate at the meeting of the World Heritage 21-nation committee in St. Petersburg, Russia. UNESCO spokeswoman Sue Williams said the committee voted 13-6 on Thursday to put the iconic Christian site on the list. Two nations abstained. Emergency status for the candidacy meant the Palestinians could take a shortcut to getting the church on the list. Some nations saw the move as an attempt by the Palestinians to mix politics and culture. The United States and Israel, neither of which is on the committee, were among nations opposed to the Palestinian proposal of an emergency candidacy for the iconic Christian site, shortcutting what is usually an 18-month-long process to apply for World Heritage recognition. Palestinian Prime Minister Salam Fayyad welcomed UNESCO's decision, saying it strengthens the Palestinians' determination to act toward the establishment of an independent state within the 1967 borders. "It's time for the UN and its organizations to take a political, legal, cultural and moral stance to put an end to the suffering of the Palestinian people, and prevent the risk posed to its cultural heritage due to the actions of the Israeli occupation," he said. "This global recognition of the rights of the Palestinian people is a victory for our cause and for justice," Palestinian President Mahmoud Abbas’s spokesman Nabil Abu Rudeina told AFP, as Palestinian negotiator Saeb Erakat called it "a historic day." "These sites are threatened with total destruction through the Israeli occupation, through the building of the separation wall, because of all the Israeli sanctions and the measures that have been taken to stifle the Palestinian identity," the Palestinian delegate said after the vote. Palestinian spokeswoman Hanan Ashrawi said "the message to Israel today is that unilateral actions will not work and that Israel cannot continue challenging the world despite its powerful allies." Meanwhile, US Ambassador to UNESCO, David Killion, said the United States is "profoundly disappointed" by the World Heritage committee's decision. "This body should not be politicized," he said. His statement noted the candidacy was opposed by a UNESCO experts committee, whose conclusions are almost always heeded. "The site clearly has tremendous religious and historical significance," Killion's statement said. "However, the emergency procedure used in this instance is reserved only for extreme cases." The Prime Minister's Office also leveled criticism at the decision, stating that UNESCO's move proves that "the organization is motivated by political and not cultural considerations." "Instead of taking steps to promote peace, the Palestinians are taking unilateral action that drive the prospects of peace further away. The world must remember that the Church of Nativity is holy to Christianity and was vandalized in the past by Palestinian terrorists," read a statement issued by the PM's Office. The drive to get the Nativity church quickly recognized as a World Heritage site is part of the Palestinians' bid to win international recognition since attempts to establish a Palestinian state through negotiations with Israel are frozen. The Church of the Nativity drew some 2 million visitors last year. It is built above the grotto widely believed by Christians to be the site where Jesus was born. While the church needs restoration, including repair of a leaky roof, it was not seen by the experts committee as being in imminent threat of destruction, the criteria usually reserved for the emergency procedure. Also on Friday, UNESCO recognized the Nahal Mearot Nature Reserve located in Hof HaCarmel Regional Council as a World Heritage Site. This is the eighth site in Israel to be placed on the list. 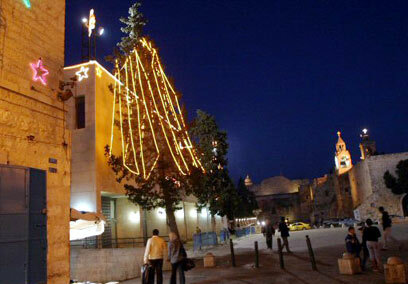 See all talkbacks "UNESCO makes Church of Nativity endangered site"